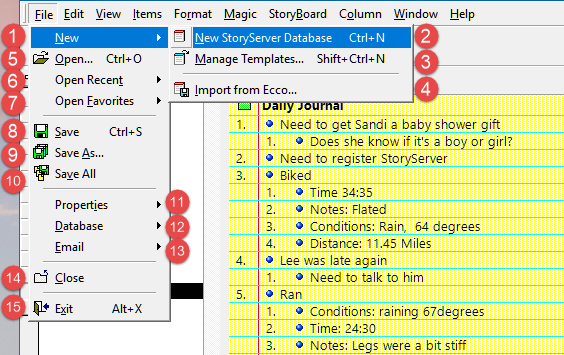 various ways to create, open, save, archive, compact StoryServer documents. manage the MRU and favorites list. synchronize between different StoryServer documents. Closes the current file. To change files see Windows-Menu. For Print, see the StoryBoard Menu.